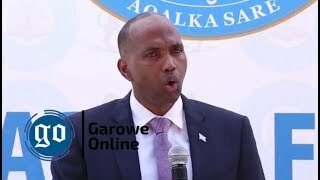 GAROWE, Puntland - The Vice President of Somalia’s northeastern region of Puntland, Abdihakim Omar Amay has suspended the State's Police chief, Abdulkadir Farah Shire (Ereg) on Sunday, Garowe Online reports. In the decree, the Vice President said that Shire was fired for being incompetent and failure to fulfill his responsibilities to handle the Police activities, but doing his private interests. 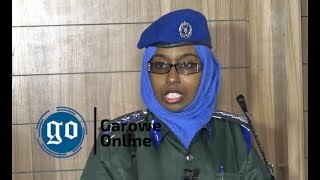 GO has received reports indicating that the Police Commander-in-Chief has been removed from office after he had covertly released many inmates held on various charges from Puntland jails in the past. The freed prisoners did not include individuals convicted of terrorism. 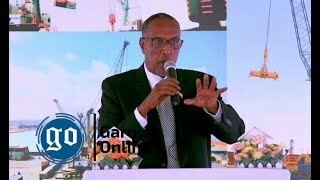 The suspension came following previous complaints against Shire that was repeatedly submitted to Puntland state officials. 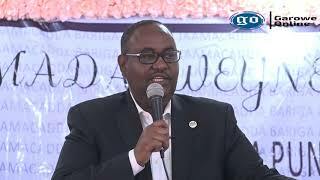 The move comes as the state President, Abdiweli Mohamed Ali "Gaas" is in Saudi Arabia to perform Hajj, the annual Islamic pilgrimage to Mecca. Ali defended Shire from charges about corruption in the Police. 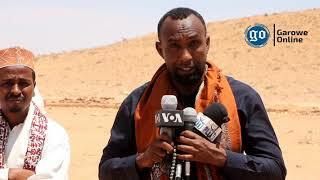 Shire was appointed as the Commissioner of Puntland Police Forces last year, after former boss, Abdirizak Mohamud Yusuf (Af Gadud) has been sacked on May 15, 2016 for Bossaso shootout. So far, there is no comments from the commander on his dismissal. 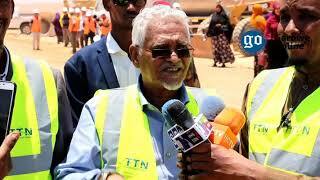 Former Puntland president, Abdirahman Farole urged new MPs to vote for change.